Sure, other department stores have their share of Gift with Purchase (GwP) bonanzas but none top Neiman Marcus in terms of brands and goodies. Neimans is the granddaddy of them all… Not only does this iconic institution offer a bag stuffed with samples from the likes of premium brands like ReVive, Cle de Peau, and Oribe, but most of the brands offer their own fabulous GwP incentives. Granted, the spend minimum on some of the GwPs are ridiculously expensive (like you have to spend $650 at ReVive) but then there are some totally attainable goals like spend $150 at Armani Beauty or $100 at NARS. Take it from me… with all these amazing GwPs it’s a little TOO easy to go a bit crazy and wind up spending the rent money. 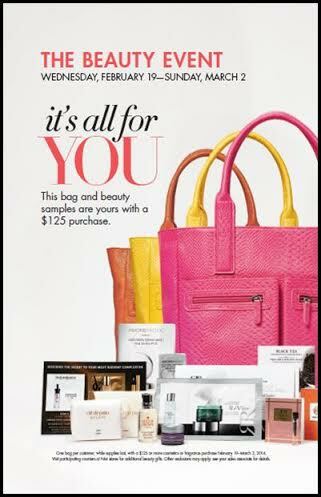 So take the beauty event in stride, especially if you plan on visiting a Neiman Marcus in person. The bright pretty products and delicious-smelling air can be a quite intoxicating. Though, the brands do offer all kinds of special in-store events like facials and makeovers, which can be fun as long as you don’t lose yourself and buy out the entire counter. Cle de Peau Concealer ($70): Um, obviously. Anyone who reads my blog knows I’ve been using this celebrity secret weapon for the past couple years. Now is the time to stock up! Sisley-Paris Botanical D-Tox ($240): I know it’s a hefty price tag but beauty addicts swear by this detoxifying serum. Supposedly women have seen a total turnaround in terms of visible pores, lines and frequency of breakouts. It’s supposedly safe for sensitive skin so I’m going to give it a try. Sulwhasoo Overnight Vitalizing Mask ($50): I’m a whore for overnight masks as it is since skin repairs itself at night and is most conducive to products. I’ve been using this mask for three weeks now and I’m in love with the results. I seem to wake up to brighter more hydrated skin. Bonus: It absorbs right away so you don’t have to worry about getting it all over your pillow. Kiehl’s Midnight Recovery Complex ($46 – $120): I’ve been using this elixir of essential oils and distilled botanicals as a serum under my Sulwhasoo mask. It smells lovely and seems to be calming and hydrating. For those of you with oily skin, you could wear this alone at night to get the full benefits. Giorgio Armani Rouge d’Armani Sheer ($34): This is the queen of all lip sheers. Forget all you’ve known before of tinted lip balms and sheer lipsticks — this ultra-hydrating confection takes the cake. Not only does it drop the perfect amount of color, it locks in the color and hydrating for several hours. Winner. So, as you can imagine I personally do not have the willpower to go to Neiman Marcus in person, even though their stunning San Francisco location is only 30 minutes away and their well-appointed facial room beckons to me. I will be a good girl (relatively) and do my shopping online.